Aspirin has the potential to double the life expectancy of certain cancer patients, new research suggests. People with cancers affecting the gastrointestinal tract were found to benefit from taking the anti-inflammatory pain killer, which is cheap, can be obtained without prescription and carries few side-effects. In addition to patients, the authors claim the drug could also have a great impact on healthcare systems. 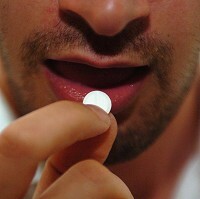 The study involved 14,000 patients in the Netherlands, around half of whom were in the habit of taking aspirin. Over a typical follow-up period of four years, individuals using the drug after their diagnosis were twice as likely to still be alive as non-users. This impact on survival was seen after adjusting for factors such as gender, age, stage of cancer, treatments, and other medical conditions that could have influenced death rates. Analysing tumour material from the participants, trial co-ordinator Dr Martine Frouws, from Leiden University, believes it will be possible to identify patients who could profit from aspirin treatment in the future. Whether a survivor or undergoing treatment, cancer travel insurance gives people the peace of mind they need to enjoy holidays abroad. It covers everything from lost medication to 24/7 emergency assistance. A new randomised controlled trial is already under way. It is investigating the effect of a daily low dose of 80 milligrams of aspirin on the survival of elderly patients with bowel cancer in the Netherlands. Researchers will compare the effects of aspirin and a dummy placebo, while they also have plans to expand the study to include gastrointestinal cancers. The hope is to provide convincing proof that more patients can benefit from aspirin treatment. Professor Peter Naredi, scientific co-chair of the 2015 European Cancer Congress in Vienna, where the findings were presented, says more and more data is emerging that supports the beneficial role of aspirin. He claims it is time to consider whether the drug should be recommended to the wider public.